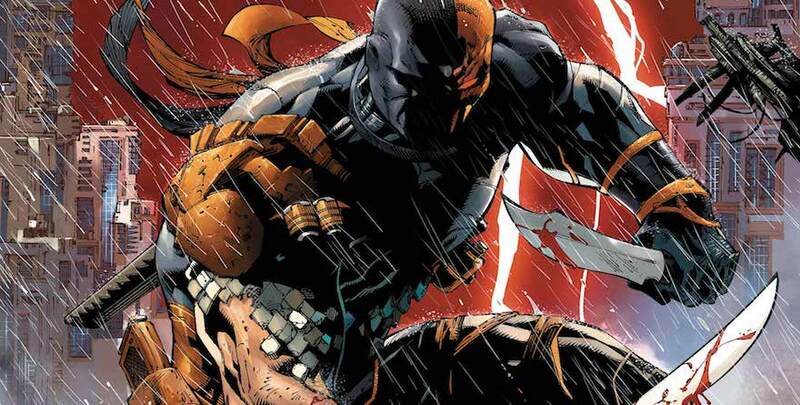 In Deathstroke Volume 1: Gods of War, Tony Daniels brings us back DC’s deadliest supervillain with a whole new mission at hand. Explore Slade Wilson like never before as you get to closely follow this assassin through his very own story line. Without giving any spoilers, know that this story follows Slade after he finds out that a top-secret mission was erased from his memory, he finds himself on a new mission with new enemies and all. his signature orange and black armor. The action scenes were amazing and plentiful, and I found myself examining all the careful details of every backdrop. I have to say the artwork had everything going for it, but I wouldn’t say that about the whole comic itself. together. This can be a little disappointing for fans who were looking forward to seeing more of that famous strategizing. Overall, his new personal altogether seems to be a rebut on its own that I am not particularly fond of. I think fans can agree that Daniels could have spent a little more time in getting some character development going. 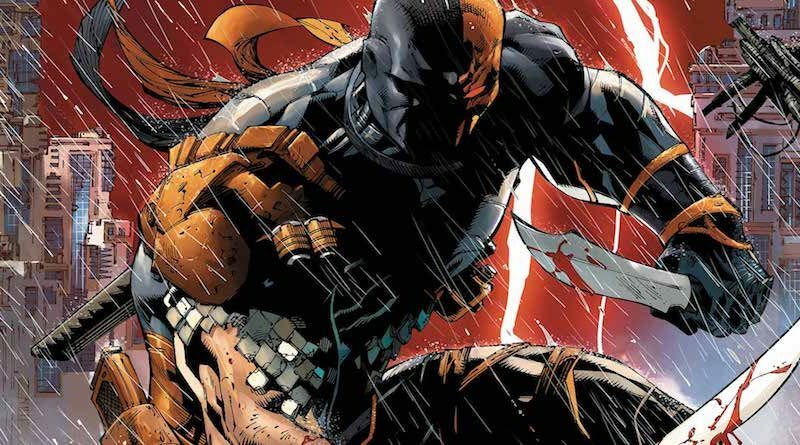 This was not just the problem with Deathstroke himself. The other minor characters were also lacking in the character development and explanation I would have hoped to see in the series. Secondary characters such as Possum and Angelica seemed to be included more for the sake of having secondary characters rather than adding to the storyline in any meaningful way. 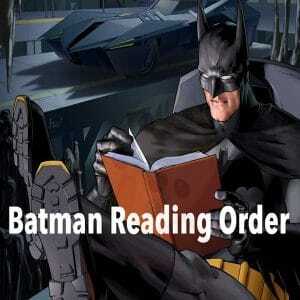 And although Harley Quinn and Batman himself were featured they did little to the plot. Overall, the plot was rather unexciting compared to other DC storylines. 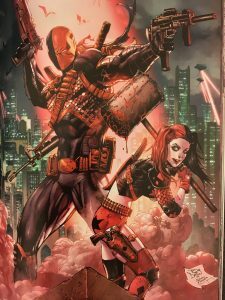 It was cohesive and fitting for the Deathstroke franchise, however it was rather lackluster and didn’t really offer anything new to the table. If you are looking more for the action than storyline, however, then you’ve come to the right place. This volume was chock full of action -each drawn to every minute detail. The fight scenes were absolutely amazing and almost make up for the lack of an exciting storyline. 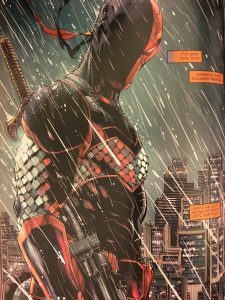 Overall, I give Deathstroke Volume 1: Gods of War a 3/5. I didn’t not enjoy it, but I felt very underwhelmed with how everything played out. The story line and characters left a lot to be desired. 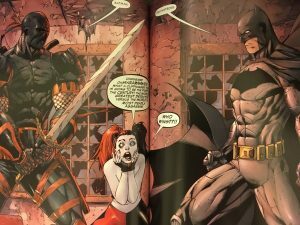 It felt at times that this was just Daniel’s blatant attempt to force Deathstroke into a modern solo series. While the plot may not have been exciting, the action-packed fight scenes are sure to appeal to fans! If you are looking for easy-to-follow, action-packed story with beautiful art, look no further. If you are someone who likes a little more substance in their comics, you may way to look elsewhere.